Now that high-end phone makers Samsung, LG and HTC have had their fun in the sun, it’s time for their more affordable counterparts to enjoy the limelight. Alcatel is bringing its Idol 4S flagship to the US for a pre-order price of $350 ($400 retail), and you can start ordering at 8 a.m. PT on July 15 via Alcatel’s website. The company is also offering an installment payment option that lets you get the Idol 4S at $37 a month. What’s unique about the Idol 4S is its packaging. 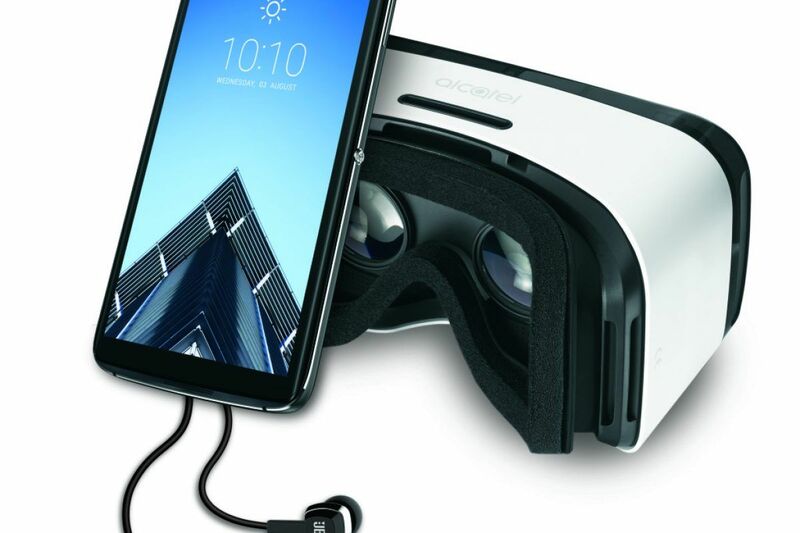 The phone will come in a plastic box that’s part VR goggles and part container for the included accessories such as JBL headphones, screen protector and protective Incipio case. The Idol 4S VR goggles look very similar to Samsung’s Gear VR, except it has touch controls on the bottom instead of the right side, and its head strap has a cushioned back piece for a more comfortable fit. Goodies aside, the device also squeezes a bunch of impressive features for the compelling price. You’ll get an octa-core Snapdragon 652 CPU, 3GB of RAM and a 5.5-inch Quad HD AMOLED display. Unlike the international version, the American Idol 4S will have a fingerprint sensor on the rear for easier unlocking and payments. At its retail price, the Idol 4S will go toe to toe with ZTE’s Axon 7 and theOnePlus 3, which all cost $400. The ZTE and OnePlus devices are both equipped with the same Snapdragon 820 CPU that powers this year’s high-end flagships, so it will be interesting to see if the Idol 4S’ Snapdragon 652 setup can keep pace. 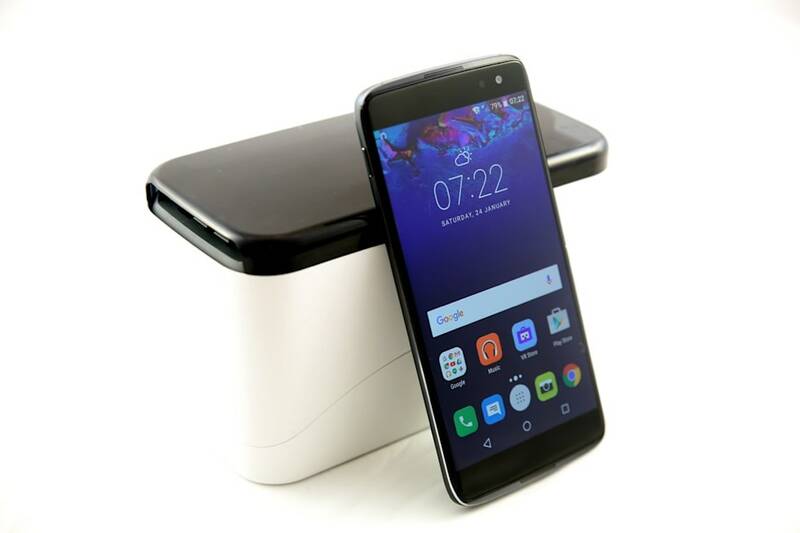 The Idol 4S also packs dual JBL-certified speakers that can pump out sound through the back and the front of the phone, a 16-megapixel rear camera with 360-degree image capture built in, as well as a dual SIM card slot. It will ship with Android 6.0.1 Marshmallow, with a promised update to Android N (although time frame is uncertain at the moment). With so many goodies included regardless of whether you pre-order, the Idol 4S is quite the bargain, and a relatively easy way to check out the world of VR.